THE CITY DARK chronicles the disappearance of darkness. 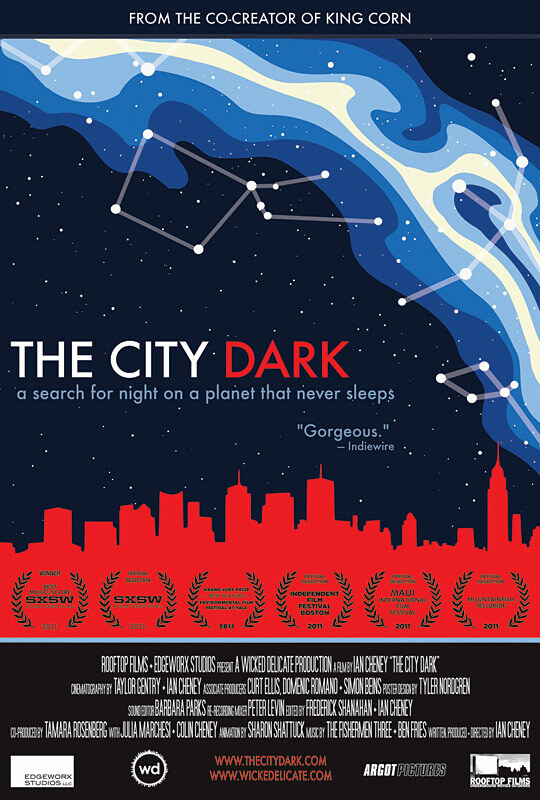 The film follows filmmaker (and amateur astronomer) Ian Cheney, who moves to New York City from Maine and discovers an urban sky almost completely devoid of stars. Posing a deceptively simple question--"What do we lose, when we lose the night?" --the film leads viewers on a quest to understand how light pollution affects people and the planet. In six chapters weaving together cutting-edge science with personal, meditative sequences reflecting on the human relationship to the sky, THE CITY DARK shines new light on the meaning of the dark.